Cool:-) I also already have the original one and I'm very happy with it (since I built a V-mount-powertab to not relay on the AA batteries). @DrDave --- I too have MkII envy -- especially on the battery front - mine eats AA's before breakfast. That dual level would be great for live events for when a presenter gets unexpectedly excited. Can anybody else comment about the DR-680 mk2's pre amps from personal experience? Different people have different definitions of "noisy". Especially consistent and loud on forums are usually recording on wrong levels and pulling it in post. The preamps in my original DR-680 are very good and compare well to high end pres, which is why the high end pres live on the shelf. They are especially good with good microphones, but they also will drive a ribbon mic. @DrDave so no need for a separate pre amp before running it into the DR-680? I have a NTG-2 and the signal from that is not too strong. I have a NTG-2 and the signal from that is not too strong. Best way is to replace NTG 2. @IronFilm I don't have an NTG 2 but I often use ribbon mics with the DR 680. Without going into a long spiel about noise, you can think of a ribbon mic as a noise tester. If the pre is noisy, and you plug a ribbon mic into it, you will seriously hear it. So you can go "line in" to the 680 in any of various ways, if you use the combo connectors there is a two position gain switch, set that to high and then use the trim button to crank up the gain. You probably can get the best result using the onboard P48 phantom power for the Rode. The actual gain/noise you get will depend slightly on the the way the impedance is matched, but you would have the same issue with a dedicated preamp. If you are in California, you can come over and try it, but I compared this box to my expensive stuff and it is totally fine. My reference pre is the Audio Upgrades two channel. OK, this and the Grace 801 sounds a teeny, weeny bit better than the 680 but they are big and expensive. Sadly, I leave them behind. I'm using the DR-680 with a Rode NTG-3, more expensive but very good mic. The difference between the NTG-2 and NTG-3 is night and day. The DR-680 and the NTG-3 play very well together. I have also used the DR-680 with the MXL FR-300. Cheap mics with "ok" quality ("good" if you consider the price - its hard to find something better in this price range). Your audio is always only as good as its worst part. If you have the DR-680 get a good mic for it, or its a waste of money. 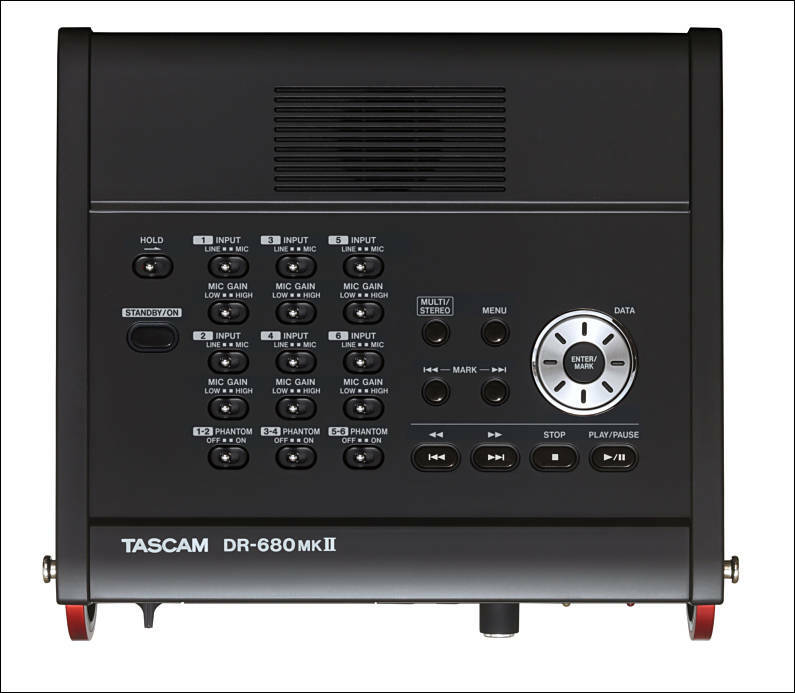 Oh, and the original DR-680 can also record a -12dB safety track as long as you only use 2 mics. Use the "stereo mix", set one mic to the left and the other to the right channel, trim the levels down (only for the stereo mix down) - thats it. But I don't know how much -12dB is in % - I'm setting it at 75%. @Psycho for a safety track, use an inexpensive y cable and record two tracks per mic, one with the gain lower and the limiter on. That way, if you have an "over" it will only affect one of the two channels. Otherwise, you can go over and then you will still be over in the mix. My brief 680 II review. This is a short review, but sweet. Pretty much everything is the same as the original 680, so I will focus on the differences. First of all, the preamps. Whatever BS you may have heard about the preamps, I am here to tell you that these are monster preamps, not just good but great. They are quiet, they will drive a ribbon mic or any other mic, and the converter-pre hybrid chain is super. So you can just take all the noise blah blah SD blah blah Zoom blah blah and tune all that out, what a relief. And, yes, the pres are studio quality, and yes, they are better than the 70D which is supposedly the same but isn't (but which is still very good), and so on. End of "pre" BS. Problem solved. Next, a lot of tiny little annoyances have been fixed. So, for example, you can turn the speaker off instead of having to plug in headphones. The menus are a bit tidier. There's a menu button on the front. You can use a bigger SD card. But, basically, it is a 680 with super high quality pres. What else? Well, for the price it is a total no brainer. Lastly, if you have an old 680 you can gang the two with a coaxial cable ($3 on eBay, or cheat and use an RCA) and now you have 14 channels. 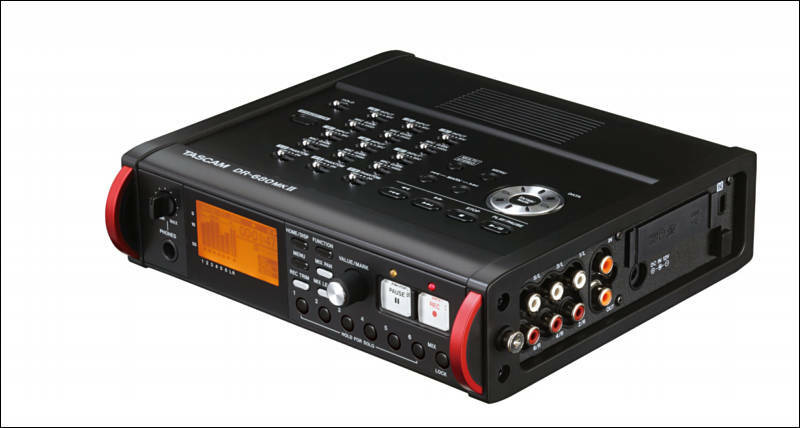 Like the old 680, you can hook up a high end Pre through the digital input to get eight channels on the main box. If you gang them together, the digital "in" on box number two is used for sync so you are limited to 6 inputs, but the full 8 are available for box number one.